Bit better, isn’t it? Yahoo has large sections of the US, 200 world cities (for example the London imagery goes out beyond the M25) and more data being added all the time. Makes that mid 2008 goal a little more real. So what’s the applet look like? There’s code in there which updates the relevant image copyrights which we must respect, along of course with Yahoos. This updates depending on what you’re looking at. We can of course derive vectors from it for use in OSM. The code needs some cleanup and tweaks. It needs to be integrated in to the site too, expect it in a week or so. Of course, we still need to get all those street names and features. 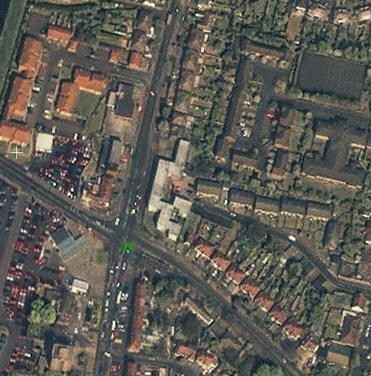 GPS traces are by no means dead – think of the new housing estates and areas without imagery. But instead of cycling down every road you should be able to just pass lots of them at either end to get the names. Or just from memory. Where does this bring us to? Well the ‘big map companies’ use expensive cars and expensive aircraft with expensive cameras and expensive GPS units to create maps. Maybe our GPS units are cheaper and less accurate, but does it matter? I think not. We now have all the pieces of the puzzle and we’re putting out great maps for Free using Free tools. This entry was posted in fun on December 4, 2006 by Steve Coast. Heard this great news via Andrew Turner. Many congrats, Steve and crew! 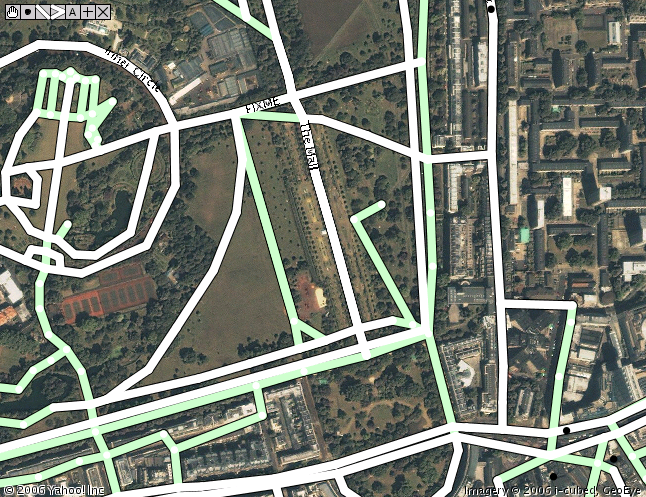 Thank to OpenStreetMap and Yahoo to make thing happen: free map data for everyone. My application need map data so I will support OpenStreetMap project. In the near future, everybody can use city street map in their mobile phone. More great news for the project. 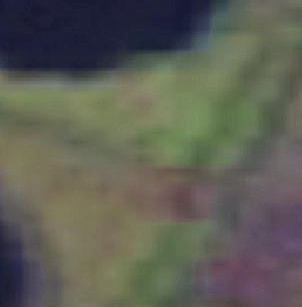 Unfortunately the detail images don’t extend to where I live, so will still have to GPS those, but I will try to trace out areas I know that do have the detail. I wanted to say that I actually used a printed OSM map to navigate around part of London last week. It had most of the detail I needed. Great news!!! (as well as the other news about finally being possible to see OSM maps on mobiles!!! I hope that it is, as you said, a sign of things to come!